Beginning December 1st, Microsoft has announced that free music streaming through Xbox Music will end. Until now, the free version of Xbox Music, similar to popular music streaming service Spotify, had been supported entirely by ads. While this change will not be especially noticeable to Xbox One users, who were already obligated to purchase a subscription to make use of the service, Windows 8 users will be left to pay $10 a month just to access the service. Microsoft only cited one reason as to the recent end to this service: "We are focusing Xbox Music to deliver the ultimate music purchase and subscription service experience for our customers," wrote Microsoft on its FAQ page. It seems likely that not enough users were making use of this service for the ads to be profitable, and therefore, the free version of Xbox Music was not resulting in enough of a profit margin for Microsoft. Included with the $10.00 subscription comes a panoply of premium features. Such as unlimited access to still expanding Xbox Music Library, which has nearly 90,000+ music videos in tow, and the ability to listen to songs purchased on various devices while offline. Subscribers who have an Xbox console will also now be able to access this library at the press of a button. On top of this addition, subscribers with an Xbox One console will be able to use a lot of those great multitasking features with Xbox Music, which makes it look a lot more appealing! 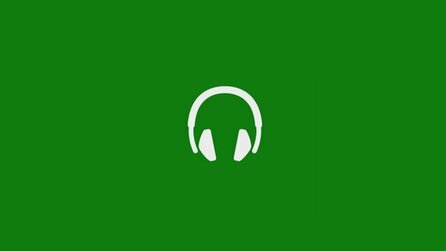 However, even with these changes being made to promote Xbox Music, it seems as if free streaming services such as Spotify, Pandora, Grooveshark and YouTube will just continue to gain more popularity. Personally, I had never even considered using the Xbox Music service, preferring to instead use the aforementioned streaming services due to their greater content diversity. Have you ever purchased an Xbox Music subscription? Were you a frequent user of the free version of this service? Do you think this is a good move for Microsoft? Post below in the comments!